I felt it pertinent to bump this thread to point out that I pooped in she-who-must-not-be-named's toilet. Since I met her as well as she-who-must-not-be-named's-boy, it was in fact a Real Poop®. 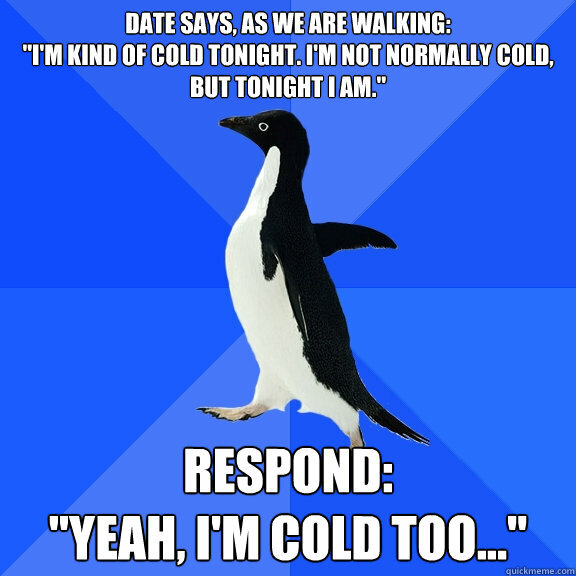 Hours later, after the date, I realized this was girl for: "Put your arm around me you clueless man." True story, and I hate myself! I hope that when I grow up my beard is as awesome as Hugh Jackmans. I grew it out this month, but I shaved for my date on Sunday. It's actually a lot fuller than it was whenever I took that picture. I'm missing like a small under my chin and a little around my mouth. My beard is a LOT fuller than that THANK YOU VERY MUCH. Your beard makes me sad. 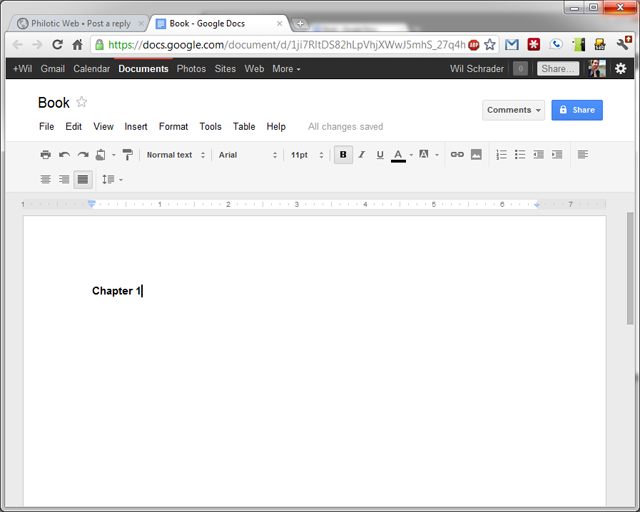 I've hit a bit of writers block... do you think I'll make it? I finally got around to watching the last few episodes and I was highly, HIGHLY underwhelmed. That was it? Blah. Syphon the Sun wrote: FYI: the case cited doesn't stand for what Wil thinks it does. And that is why I hate law! Re: Pweb Meta Talk: Can we move it? Make it better? I think it needs to be less OH-GOD-MY-EYES white. Luet wrote: Was there a lot of moving around, starting around minute 10? There is a rubbing noise every few seconds that's driving me nuts. Sounds like the leftover remains of the constant background noise in the recording that I removed. You did indeed! Each of those "uhms" were pulled out of the interview. They are all unique "uhms". I'm going to buy it for everyone! GD gets one too! Yeah, nobody feel guilty over it. Just, smack Alea and tell her to speed it up if you realize you've been on the phone for longer than 40 minutes. Magnesium chelate, which I take regularly, makes for great poops! Topic: Is Butter A Carb? Re: Is Butter A Carb? It's nice to read about the food going in, but be sure to provide in depth analysis starting sometime tomorrow about the food coming out! I'm furnishing my clean, quiet, hassle free apartment! I was considering at some point just going in with phpmyadmin or whatever and manually running a query on the database to change the core group of members join dates, but haven't gotten around to it yet. Topic: Which forum theme/style are you using? Which forum theme/style are you using? I have bestowed Tech abilities upon thee. Just an FYI, not sure if this matters or not, and it makes sense, but the "admin" email is currently set as chris@chrisfried.com. Also, I went ahead and created a new account, TechWil, gave him admin privileges, and removed all admin privileges from this account. For the record, I agree with Noodle's vision for how the website should be run. Yeah, that's the one I'm using at the moment. GS wrote: Just an observation on something Jan said in another thread. The theme choices are going to make invsi-text a little tricky. We can probably install a custom spoilers mod for this very purpose. What surprises me is a bulk of my posts are in the Workout thread, and I absolutely hate working out. Topic: IMPORTANT: Does the new board work for you? Re: IMPORTANT: Does the new board work for you? Search indexing done. I tested it this time, and it appears to work. If people go here, and under "My Board Style", they can select a style and click save. I forgot to delete the second index and recreate it. It's currently doing it's magic, but it'll probably take a few hours. Wind Swept wrote: I uploaded it to the server. I can't actually turn it on without Admin privileges, though. There should be a tab on the Admin Control Panel called Styles where you can Install it. I enabled it, and it's defaulted for everyone. Again, not stepping on toes; just bored at work. I went ahead and forced the search index. Not to step on any toes; just bored at work.